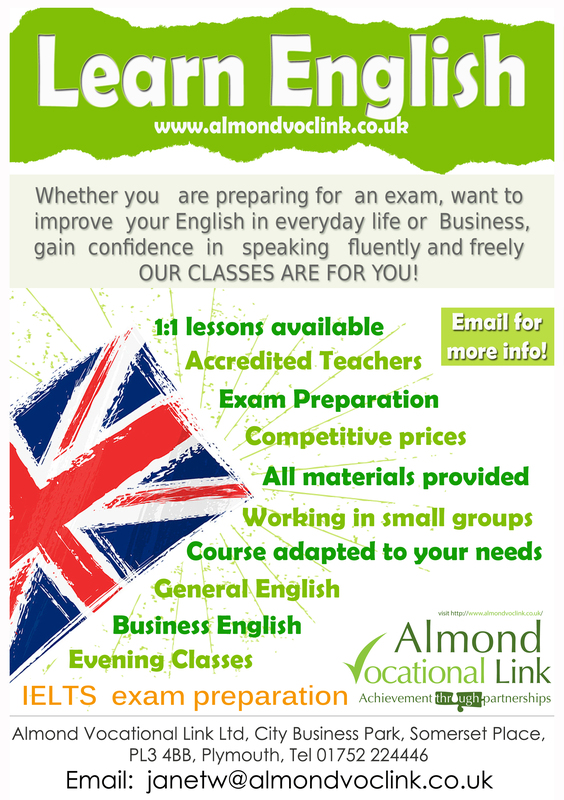 Almond Vocational Link has many years of experience in providing English Language Training to our European Students who choose to come to Plymouth to learn English and gain work experience. Due to an increased demand and positive feedback we decided to expand our services to offer language training to those located in Plymouth permanently. At present we are in the process of research which is crucial in planning our English Language courses, so if you have any questions or suggestions, please do not hesitate to contact us. Our English teacher will provide you with all the materials needed. When taking part, your tutor will asses the level of input you require and decide on the most suitable method for you. Whether you want to focus on improving grammar, increasing your vocabulary or practicing the pronunciation we will help you in achieving your goal. The most popular choice for our students are English classes in small groups (up to 8 people) This option allows you to enjoy a personalised learning experience whilst benefiting from the informal and relaxed group approach. 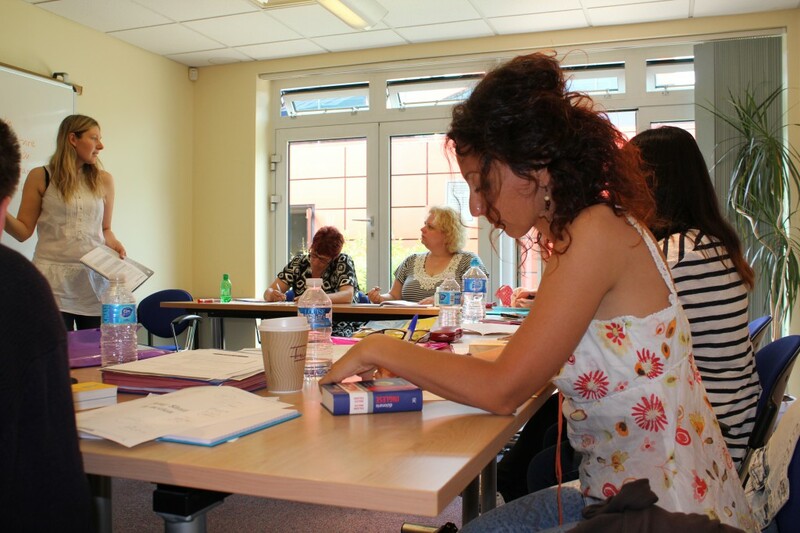 Our teachers have many years of experience in helping adult learners to improve their English and boost their confidence. The group course creates many opportunities to practice your conversational skills and ability to seek information in the target language more efficiently. It’s a great way to make new friends and improve your English at the same time. The bespoke 1:1 courses guarantee your tutor’s full attention and a personalised learning experience which can improve your English language skills rapidly. We thoroughly recommend this approach for those learners who require intensive language training and a more tailor made classes. The 1:1 sessions are perfect for students and teachers who are preparing for exams and seek expert help on their progress from our qualified trainers.If you are working towards receiving qualifications in English such as Cambridge and IELTS please get in touch. Learn English in Business with us! Perfect if you are starting a Business related University course or are already a student and would like to increase your vocabulary. Our Business in English courses are also suitable for those in employment who’d like to impress their colleagues and employer with a wide range of vocabulary.